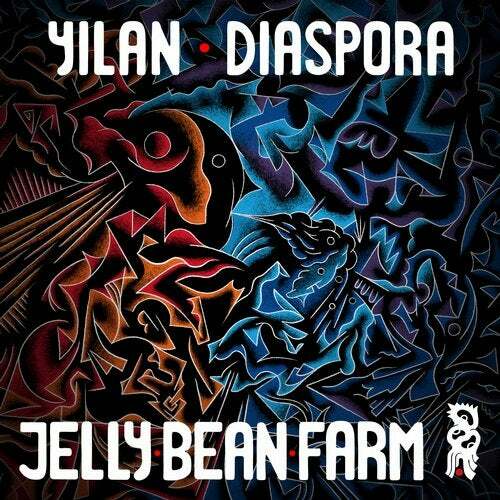 Jelly Bean Farm steps it up with the first release of the year 'Diaspora' by Yilan. This 5-track EP is sure to please JBF fans that remember the euphoric opener to the JBF-Exit compilation 'Sangoma'. Shortly after releasing on Birmingham's Circular Jaw and Listening Sessions, Yilan trekked north to Leeds and put this head down to sharpen his skills and sound. It is clear after one front-to-back listen that Yilan has gotten into a bizarre and compelling headspace. Yilan has stripped back the melodies and crafted percussive perfection out of sheer chaos. This release encompasses his wide-range of styles and tempos from peak-time stompers to low bpm sensual rollers. The EP also features a mind-bending tribal collaboration between Yilan and Circular Jaw's co-founder Foxmind, 'Bottleneck' rounding it out.